Size : 18.9 x 23.2 inches. / 48.0 x 59.0 cm. 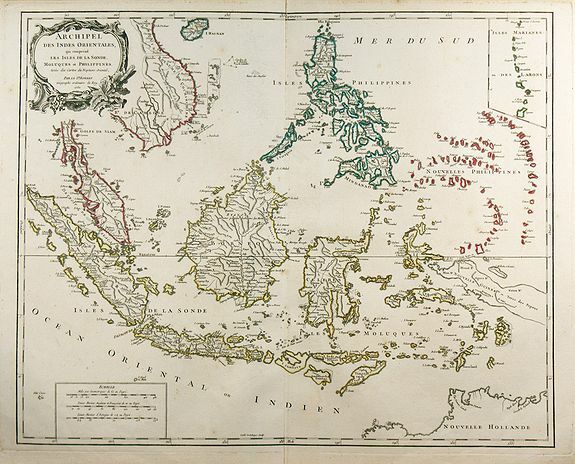 Description :An attractive and detailed view of the Indonesian islands in large format. Decorative title cartouche. Condition : A few brown spots, otherwise in mint condition. Wide margins.